For months now, Japanese manga artist Tadatoshi Fujimaki has been dealing with repeated threats. There is a vendetta against him, which has produced numerous threatening letters containing suspicious chemicals. As previously detailed, the threats are apparently from one angry individual who seems intent on stopping Fujimaki from promoting his manga Kuroko's Basketball. The threats are frightening and relentless. However, as noted by Yaraon! (via ANN), Fujimaki wrote in an upcoming issue of Jump Magazine about a recently cancelled Kuroko's Basketball stage event, apologizing to those who were looking forward to it, but noting the safety issues at hand. 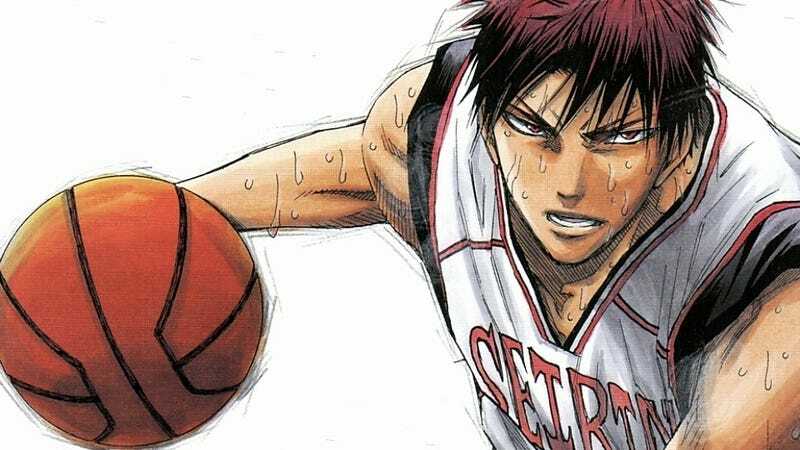 He also said that he would not stop writing Kuroko's Basketball, declaring, "Even if something happens, I will keep working hard on this story, without rest." Considering how terrifying the threats have been—from stabbing to arson to chemical threats—it is brave of Fujimaki to stand up for himself and his work.